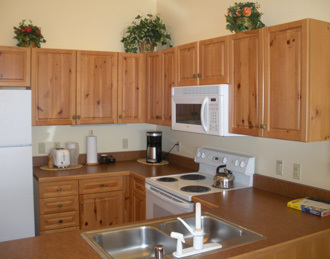 Full kitchen in Keystone's River Run condos. Expedition Station is one of the condo complexes in River Run Village. The location of our Expedition Station condo was excellent – a stone’s throw from the condo registration office, and a three-minute walk to the ski-school/ski-rentals building and a handful of awesome River Run Village restaurants. The River Run Gondola is no more than a five-minute walk (unless you’re burdened with ski gear or cranky kids). Our accommodations on the fourth floor (#8639) were decorated in your standard Colorado ski-condo decor: light knotty-pine furniture, cabinets and accents, plus comfortable bedding and slightly worn carpeting. The condo was absolutely comfortable for my family of four, but not necessarily ultra spacious or luxurious. The master bedroom, with king bed, had an en suite bathroom, while the small second bedroom, with two doubles, was right next door to a second full bath. 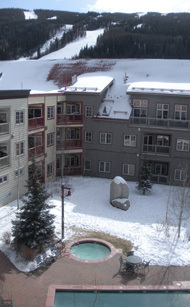 View of ski slopes from our Expedition Station condominium in Keystone. I like that the small balcony overlooked the hot tub and heated swimming pool (both used through the winter months); we had a great view of the slopes (see photo at right). A gas fireplace in the living room helped take the chill off after being outside. Three television sets (in each bedroom and living room) ensure there’s no fighting over what to watch when everyone just needs to zone out after a day on the slopes! Underground parking is included when you stay at Expedition Station; spaces are super tight, especially when vacationers are typically driving SUVs or minivans. Each condo also has a ski locker on the main floor; a building manager, around during the day, can answer questions or troubleshoot problems. We had no problem logging on to the complimentary wireless in our condo. Everyone who stays in Keystone-managed lodging gets an Adventure Passport filled with dining, retail and shopping coupons. To note: Our condo did not have a washer/dryer in the unit, which is sort of a bummer when you come home from a day of outdoor winter fun with wet clothing. It would be nice to dry coats, ski pants, socks and gloves in the condo; there is a communal coin-operated laundry room in Expedition Station. The ski season is nearing an end at Keystone – lifts close April 11. But that means your family can enjoy some great condo rates during the spring “off season.” Summer rates (compared to the high winter season) are quite reasonable, as well, and July and August are absolutely glorious months to visit Colorado, with plenty of family-friendly outdoor activities to enjoy in the low humidity and temperate climate. Thanks, Vail Resorts, for a lovely long weekend in Keystone! I have fond memories of a Labor Day Weekend family camping trip to Steamboat Lake State Park. At 8,000 feet in elevation at the beginning of September, the days were sunny, albeit a little crisp, and the evenings were cool (we bundled up in our pop-up camper). But that nearly fall-like weather didn’t stop the kids from swimming in the lake! 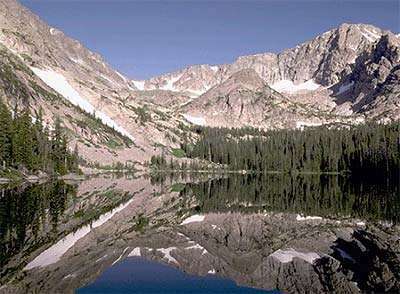 Well-known for: Pretty mountain vistas, particularly Hahn’s Peak towering over the clear lake. Admission: A daily park pass is $6. If you plan on visiting several Colorado State Parks within the year (there are 42 across the state), your best bet is to purchase an annual pass. Families with young kids will like: Easy one-mile hiking trails, such as the Poverty Bar Trail and the slightly more moderate Tombstone Nature Trail. Families with teenagers will like: Seven miles of mountain-biking trails, plus easy access to Routt National Forest. All travelers will appreciate: Power boat, canoe, kayak, pontoon and paddleboat rentals from the Steamboat Lake Marina. Camping information: The Sunrise Vista and Dutch Hill campgrounds each have campsite loops that are close to the lake, and others that are further from the water. The detailed online maps make it very clear where each site is located; any questions call (303) 470-1144. Book campsites online or by phone; prices range from $16 to $20, depending on whether or not you have electric hook-ups. RV and tent campsite reservations are taken for Memorial Day through mid September. More nearby lodging: For a slightly cushier camping experience, check out the 10 camper cabins. Furnishings and amenities are sparse, but you do have electric heat, beds with mattresses, a small refrigerator and coffeemaker. They sleep 4 to 6 people. Best time to visit for ideal weather: July. Just be aware of late afternoon thundershowers that are so typical in the Colorado mountains. 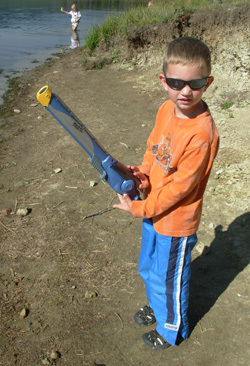 Plan your outdoor activity in the mornings and early afternoons. Best time to visit to avoid crowds: Winter, but there’s still so much to do: snowmobiling, X-C skiing, snowshoeing, ice fishing. Nearest major cities: Steamboat Springs is roughly 30 miles away. More info can be found at the always helpful Colorado State Parks site for Steamboat Lake. Mesa Verde National Park in southwest Colorado is an archeological treasure trove, with more than 4,000 ancient sites that offer insight into the people who made their home here years ago. 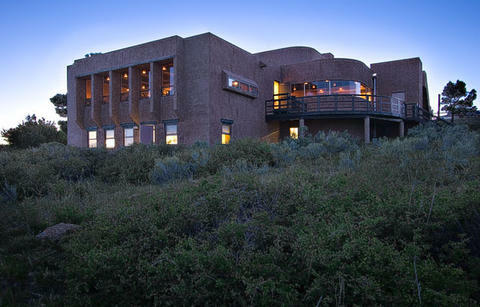 It’s also filled with amazing views of sandstone landscapes and majestic mesas. Famous for: Fascinating cliff dwellings, abandoned by the Ancestral Puebloans (once known as the Anasazi Indians) who lived in the area for more than 700 years until 1300 A.D. 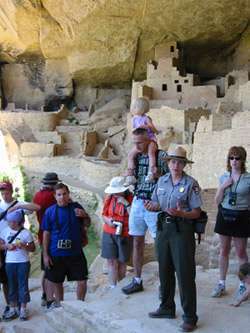 Excellent ranger-led tours at Mesa Verde National Park. Families with young kids will like: The hour-long guided tour of the Cliff Palace, which requires climbing 5 eight- to ten-foot ladders. Even my two-year-old could get up the ladder himself (with Daddy close behind); don’t let the “climbs” frighten you from bringing young children. Families with teenagers will like: The hour-long guided tour of Balcony House, which involves climbing a 32-foot ladder and crawling through a 12-foot tunnel. All travelers will appreciate: The knowledgeable park rangers who lead excellent tours of the cliff dwellings. Easy sightseeing: Drive the six-mile Mesa Top Loop Road with pull-outs to short, paved trails that lead to archeological sites and cliff dwelling overlooks. Camping information: Morefield Campground has a whopping 435 tent, RV and trailer sites, so it’s likely there will be a spot for you when you visit. Reservations are accepted (required for group and full hook-up RV sites) via ARAMARK, which operates the campground. It’s open early May through October. 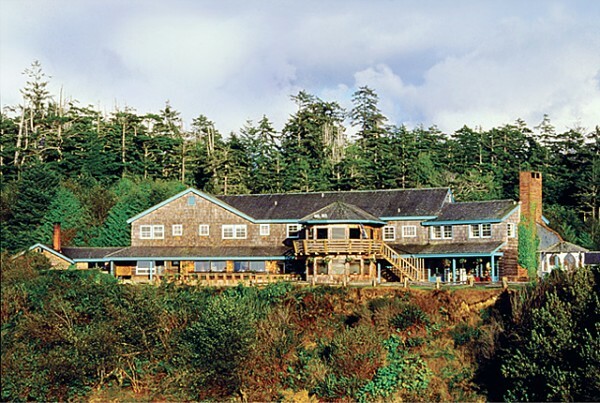 More nearby lodging: The Far View Lodge, also operated by ARAMARK, is the only other lodging option inside the park. Don’t expect the Ritz; these are very basic rooms in Southwest decor. Best time to visit for ideal weather: June is a lovely time to visit Mesa Verde National Park — it’s typically well after spring snowfall, but before hot mid-summer temperatures hit. Best time to visit to avoid crowds: Mesa Verde is open all year round, and the winter season is usually quiet. However, note that some roads are closed and some cliff dwellings are not open in the off season. Check this guide for operating hours and seasons for details. Nearest major cities: Durango, Colorado, is 1.5 hours away and Cortez is about an hour away by car. More info can be found at the always helpful Mesa Verde National Park Service site. One of the most popular national parks in North America, Rocky Mountain National Park in Colorado is visited by more than three million visitors a year. Spread out over 415 square miles, the park was established by congress in 1915. It is home to Longs Peak (which reaches 14,255-ft above sea level), one of the most well-known mountains on the U.S. mainland, as well as many glacier-made lakes and a plethora of wildlife. The Continental Divide also traverses the park from north to south. Nearest major city: Denver, Colorado, to the east. Famous for: Hiking; mountain climbing, photography, and wildlife spotting during the summer; snowshoeing and cross country skiing during the winter. Park Hours: Open year round. The park has several visitor centers but only the Beaver Meadows and Kawuneeche are daily year round (except December 25 when all are closed). Average hours for the visitor centers are 9am to 5pm. Admission: $20/vehicle or $10/individual for 7 days. Families with young kids will like: Earning a badge in the park’s Junior Ranger program; hiking some of the easier trails. Families with teenagers will like: The trails that lead to hidden lakes; horseback trail adventures; photography opportunities. Other park highlights: The park has so many things to do for outdoors enthusiasts. Experienced hikers should try the Wild Basin area of the park, with trails that lead to beautiful glacier-created lakes and the chance to spot wildlife such as bighorn sheep, elk and more. Mountain climbers will also find a variety of challenges, as well as guides to take you there. Easy site seeing: Take one of the scenic drives. Trail Ridge Road, which is the highest altitude continuous highway in North America, is the most popular. Or ditch the car and take one of the park’s free shuttle buses, which operate during the warmer months, spending a day letting someone else do the driving. Armchair travelers can enjoy the park via two webcams positioned at the Continental Divide and at Longs Peak. Best hotel in the park: There are no hotels within park boundaries. However, in nearby Estes Park, which serves as the main eastern entrance to the park, one will find a wide variety of lodging options. Best campground in the park: There are five campgrounds within the borders of Rocky Mountain National Park. Three – Moraine Park, Glacier Basin and Aspenglen – take reservations; call 877-444-6777 to do so. The other two – Longs Peak and Timber Creek – do not, and are first-come, first served. Additionally, Apspenglen and Glacier Basin are only open from mid-May to mid-September. Rates are $20/site per night at all five campgrounds. 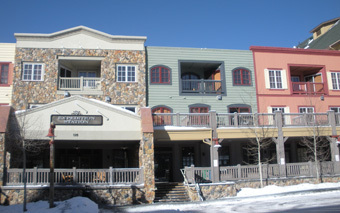 Other Lodging Options: As mentioned above, the town of Estes Park is your best bet for a variety of lodging options. Here you’ll find the historic Stanley Hotel. If the name doesn’t sound familiar, author Stephen King used the hotel as inspiration for his novel The Shining, as he vacationed there in room 217. It’s also rumored to be haunted. Best months to visit to avoid crowds: Summer months when schools aren’t in session and families are on vacation are the busiest. Pick pre-Memorial Day or post-Labor Day to minimize the crowds. Bus – Greyhound services Denver. Train – Amtrak services Denver to the east and the tiny town of Granby, CO, to the west. A personal vehicle is the only ways to directly access Rocky Mountain National Park.